Let`s start with what has changed from G5 to G6. The G5 came in a soft neoprene pouch with a zipper and metal loops to connect a shoulder strap. 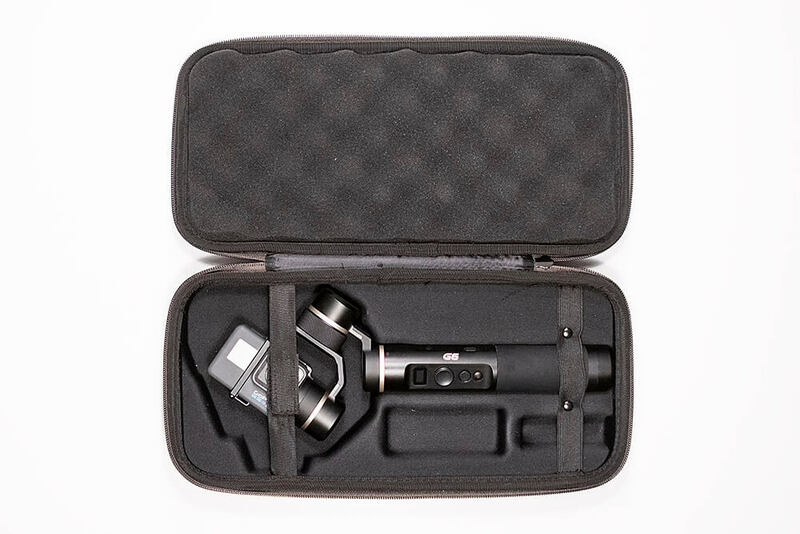 It`s a snug fitting pouch that protects the gimbal and can also fit the gimbal with the Gopro attached. 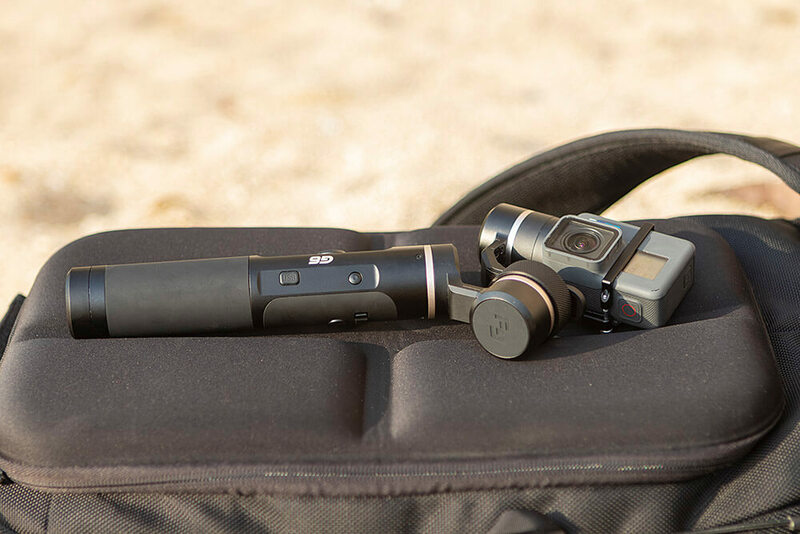 I personally really like it as it doesn`t add much weight or size to the gimbal so it`s perfect for traveling – the gimbal still fits in your bag or you can even shove it in your pocket. The downside is, that the soft material offers less protection. 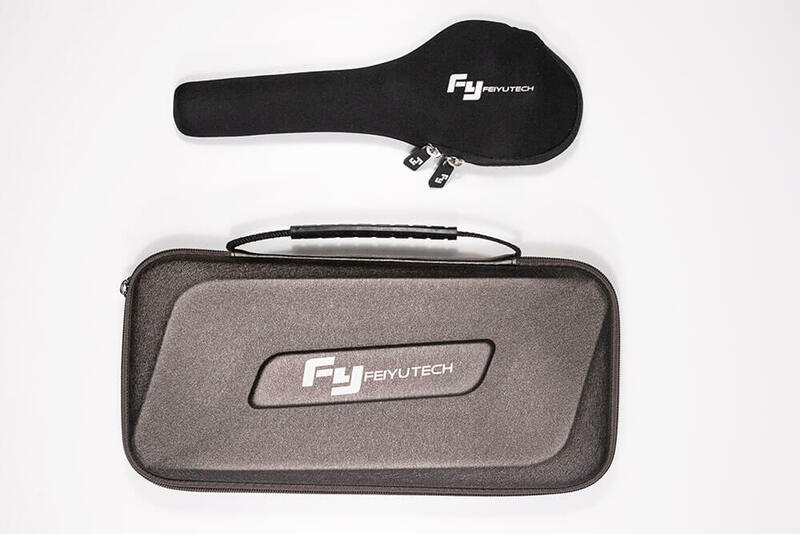 The Feiyu Tech G6 comes in a really nice hard-case that you mostly get with more expensive DSLR gimbals. The gimbal fits in the cutouts lined with soft material and is secured with a bungee on the handle side and a velcro bungee on the motors side keeping the gimbal nice and secure. You also have room for cables and a spare battery. The top of the case has a perforated foam inside so you can be really sure the case protects your gear. 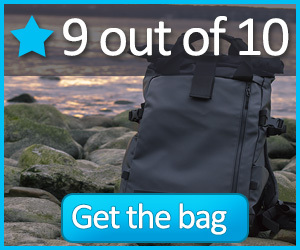 You also have a carry handle but no loops for carrying straps. Although the case is really really well built and looks absolutely great I actually prefer the neoprene pouch just for the size difference. The gimbal is really solid and made of high-quality materials so I`m not terribly worried about it. But on my recent travels, I had to leave the carry case behind and the gimbal was in my bag with a T-shirt wrapped around it just because the case is so big and would have taken up too much space in my gear bag. The hard case is great for storing the gimbal (but so is the box it comes in) but for traveling I think it`s too big. The main difference in the overall build is the elevation angle of the gimbal axis. This clears the view to the back screen of your GoPro making it easier to frame your shots. 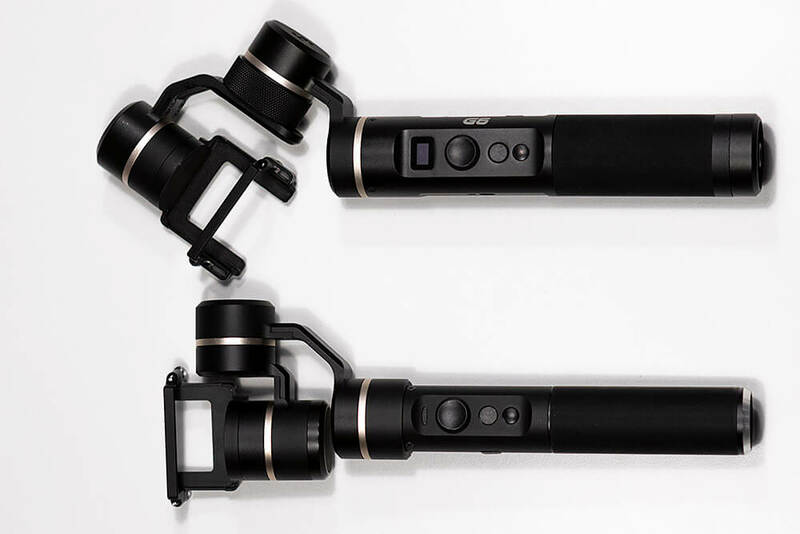 The gimbal is also a bit thicker, longer and gained some weight. 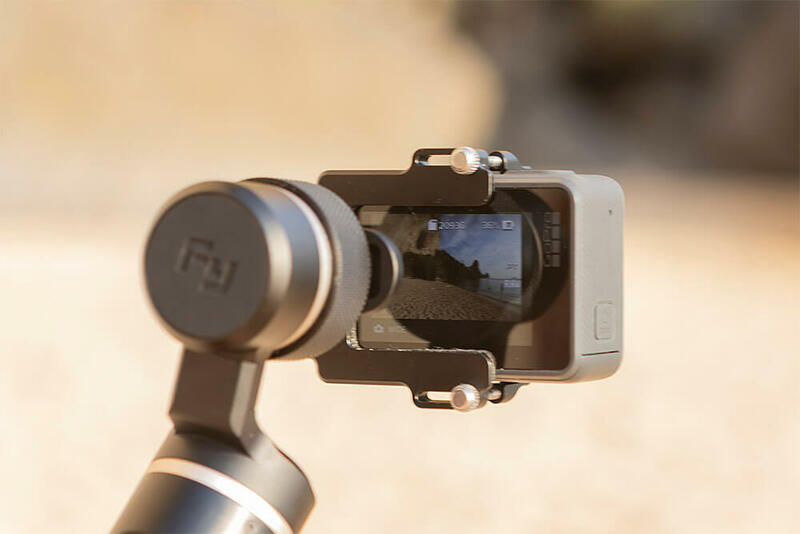 The Feiyu Tech G6 also boasts some new cool additions like the screw mount on the side for mobile phone clip. 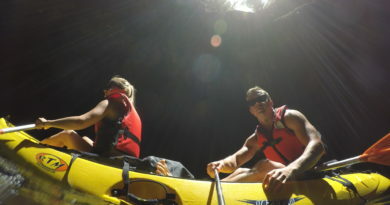 You can attach the phone on the side and connect your GoPro with the phone to use it as a bigger screen for more precise framing. It’s a great little option to have but considering how much this would drain the battery of your GoPro I doubt I will ever use that. But the side screw mount can also be used to mount the gimbal and this is far more stable than mounting from the bottom screw as this creates a shorter “arm” and has less bounce. The most noticable upgrade though is the new display screen that is a BIG game changer. With the G5 you left guessing how much battery you had, what mode was the gimbal in etc. But with the screen you have all this critical info right in front of you and more. The best thing about the screen on the Feiyu Tech G6 is DEFINITELY the battery level indicator. 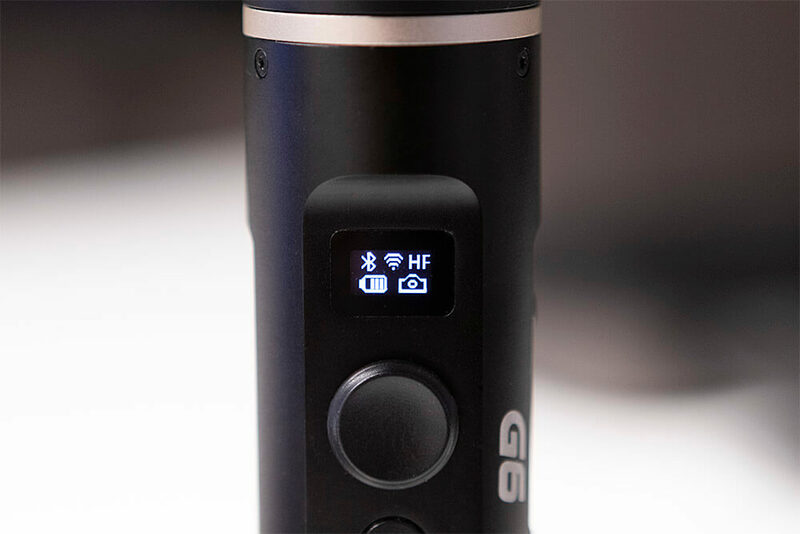 With the G5 you had to guess the battery level based on your usage and the safe bet was to charge the gimbal just in case but with the G6 you have a pretty good idea about how much juice you have left. The indicator has 4 bars so it`s not 100% accurate but it`s still super helpful. 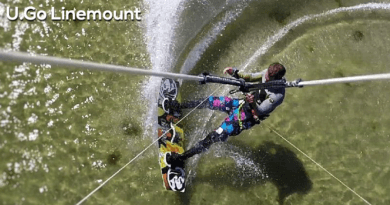 It`s also pretty handy to know the GoPro mode you are in if you connect your gimbal to the GoPro. You can switch the modes from the Option button on the side and this is very helpful if your GoPros screen goes to sleep (to save battery). The battery life has been bumped from 8 hours to 12 though which makes A BIG difference. The gimbal still has a replaceable battery which is super nice and for heavy users I would suggest getting a spare one just in case. You even have a cutour in the carry case for a space battery. The rest is pretty much the same as the G5 – the build quality is amazing, the grip has a nice rubbery coating, the motors are nice and silent, the materials used are top notch and the appearance keeps in line with the G series pedigree. 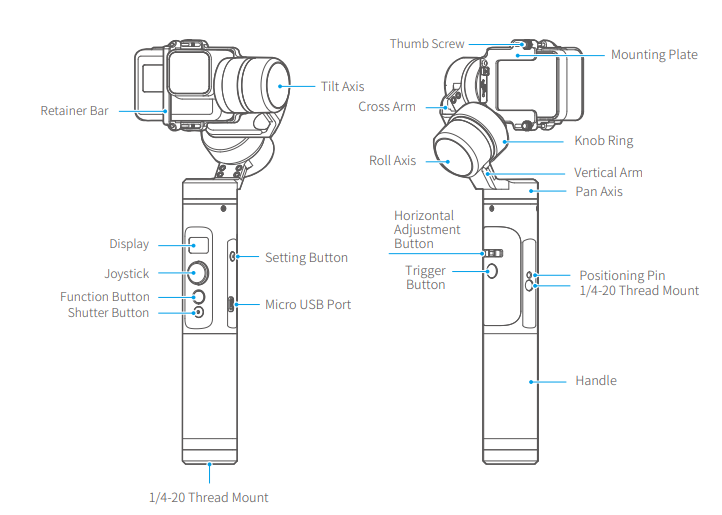 The gimbal has the same round joystick as before, the main Function button, Shutter button, Settings, Trigger and Horizontal adjustment. You can check what mode are you currently using and if you managed to successfully change the mode from the small display. Working with the Feiyu Tech G6 is as easy as it can be. The movements are smooth and there is no jerking when you hold the gimbal either straight up or in the flashlight mode (horizontal). At some angles you do sometimes experience weird jerks when the gimbal arms happen to cross the section where the Roll angle is limited. The G6 has 360 tilt, 360 pan and 320 rolling angles. 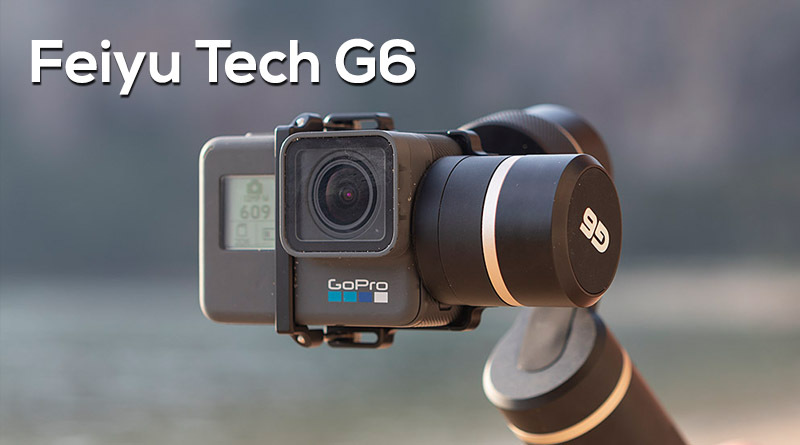 Attaching the camera works the same way as G5 and like most of the gimbals – by attaching a metal bracket with two screws. 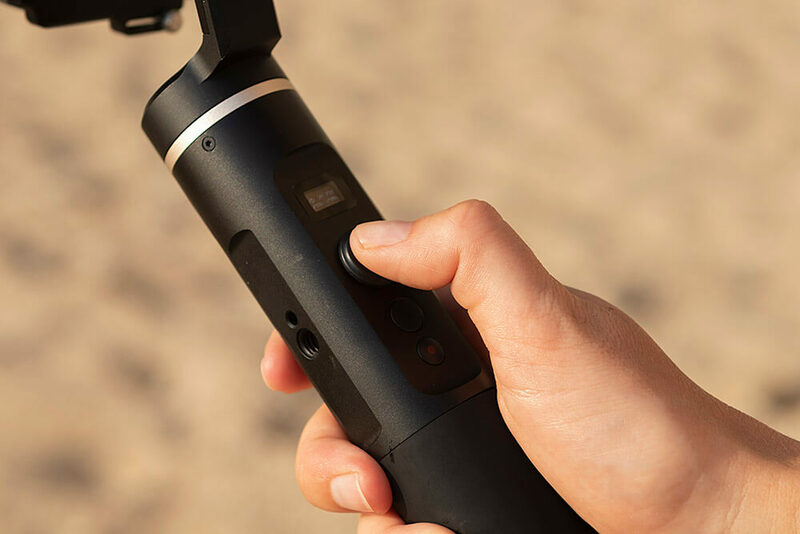 The clever trick on Feiyu Tech gimbals is the wide cutout so that the screws move freelyn and you don`t have to screw the all the way out to remove the camera. 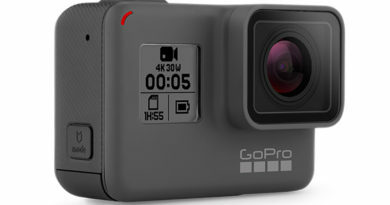 If you want to access the side button of your GoPro you need to attach it upside down, if you are always in the same mode and you use the quickstart function (Top Shutter button to turn on the camera in the default mode) you can mount the camera the right way up. In the end, it doesn`t matter reallt because the gimbal works perfectly both ways and your GoPro will automatically flip the image. 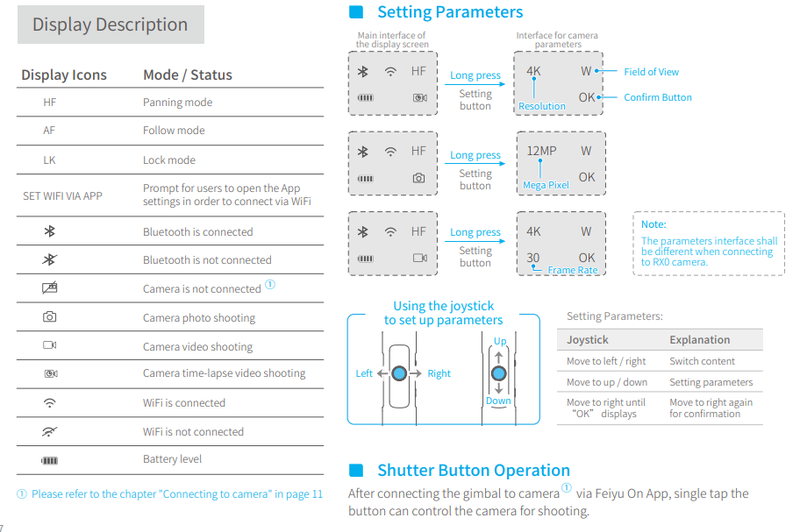 You can also control the gimbal via the Feiyu ON app (iTunes, Google Play). The app has all the basic features like controlling the gimbal movement, calibrating and resetting the gimbal, updating the firmware etc. 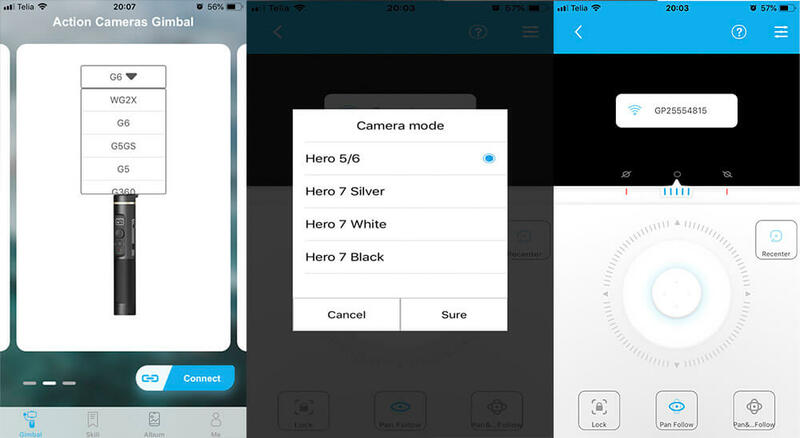 But you can also use the app to connect the gimbal and your GoPro in a few easy steps. The gimbal is splash proof as it`s predecessor G5 so you can use it in the rain or feel comfortable around pools or other bodies of water. When using with Hero6 or 7 you get a fully splashproof setup since the new Hero cameras are waterproof without any casing. 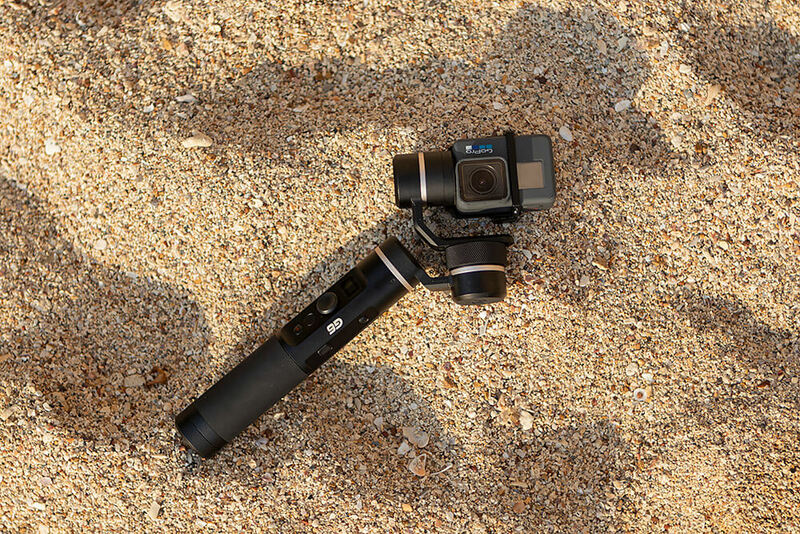 You can also charge your camera while using the gimbal since the GoPro battery last way less than the gimbal battery so you can even them out and get the shots you need when you don`t have the option to change the GoPro battery or set it aside to charge. 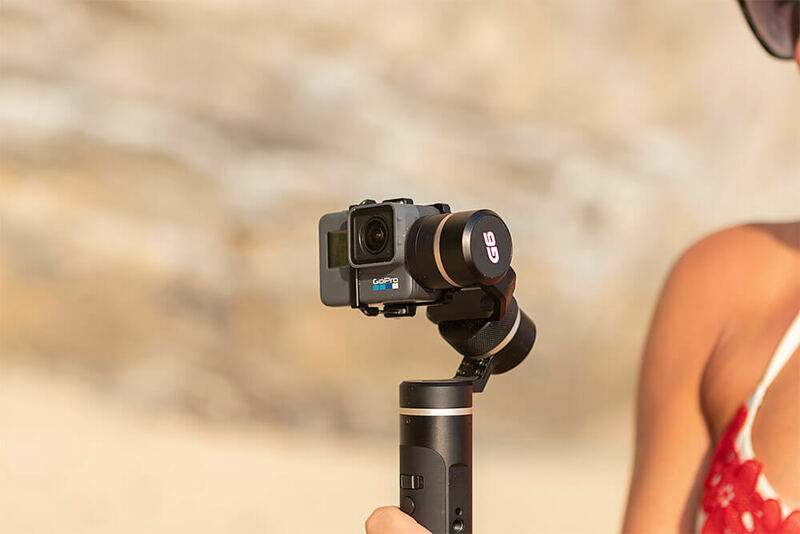 As far as gimbals go the Feiyu Tech gimbals really stand out in terms of buid quality and usability. The G6 is a nice step up from the G5 and I highly reccomend it to anyone who is tired of shaky videos, slanted horizons and jerky framing. GoPro Hero5 – What`s NEW?